Flames erupt from the Mallalieu United Methodist Church on Apple Street in New Albany. 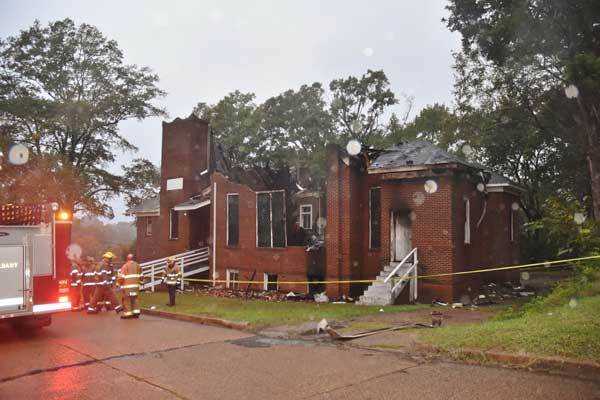 Photo taken just before 6PM on 10-25-18 shows the severe fire damage to Mallalieu United Methodist Church. A fire early Thursday afternoon, Oct. 25, destroyed the Mallalieu United Methodist Church building at 433 Apple Street in New Albany. The building of Mallalieu United Methodist Church of New Albany, destroyed by fire October 25, 2018. The fire is believed to have started in the church basement and was well established when the alarm was sounded. Several New Albany and Union County fire departments responded. Fire fighters at the scene of Mallalieu Methodist Church fire. 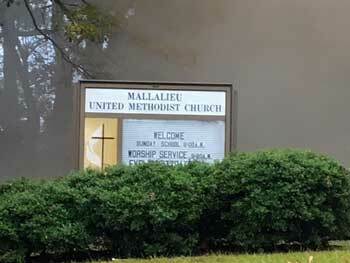 Mallalieu United Methodist Church began holding services in 1882, and the congregation has been active for 136 years. It may have once been known as Butler’s Chapel. The current pastor is Rev. Evelyn Fitzpatrick. 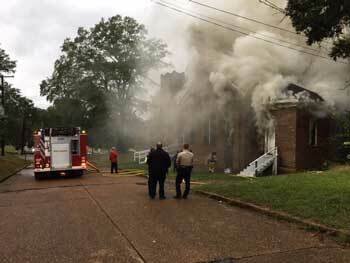 The brick church building that burned today is believed to be more than 100 years old. The building’s front was updated several years ago. It was a total loss.